Hello there! Alfred is super excited to see you, and look at how curious he is. Do you own a cat or dog? Because he seems to think you smell good. (stay back Alfred, be nice). Here we go, I’ve got a nice ball of cheese and bacon here. He’ll love it. Here Alfred, go get it! There we go, good boy Alfred! Also like a monitor lizard, you’ll notice that most of Alfred’s scales are quite small, with a rather pebbly texture. They get a bit larger and thicker on his back, which is good since adult Allosaurus tend to get into quite a lot of tussles with each other. But most of his scales have that nice cobblestone look to them. Like this guy, remember him from last week’s post on feathers and scales? Looks like Alfred’s all worn out from chasing after that giant, cheesy bacon-ball. He hasn’t quite grown into his adult silhouette yet. He’s still young enough to think he can chase after stuff, but he’s starting to get to an age where it’s getting hard to make those quick turns. When he fills out his more barrel-chested adult figure, he’ll be spending quite a bit of his leisure hours (think energy-efficient) laying around. Since his body is a bit taller than it’s wide (more lanky cat than double-wide gator), it’s more relaxing to be lounging on his side. Of course, that doesn’t mean he can’t do other things to relax, even things that may surprise us (ever seen a large horse roll? It’s hilarious 😀 ). Oh, and here’s that horse… 😀 I can totally picture some “duckbill” dino doing this. 3. Where are His Teeth?! I hear ya, I wondered the same thing when I looked up pictures of Komodo Dragons and monitor lizards. But wait, what does that have anything to do with it? “Thank you. Yes, Alfred is quite at ease here. I’m not heavy to him at all, and he weighs at least a good 300 pounds at this age. So he doesn’t mind a bit. I’m tilting his head back very gently- show us your teeth there Alfred, that’s it, nice and easy. Anyhow, I’m holding onto his lips here so I keep my fingers out of his mouth. My fingers can look a bit like treats, so I’ll be sure to keep them right at the edge here, at the gums. All this, the lips, the gums, the saliva- it all keeps his teeth nice and moist. Dinosaurs have a healthy coat of enamel on their teeth, same as your teeth, and the key to healthy teeth is to keep them moist. Even better if you can give your teeth a constant bath of saliva. Yes, drool is essential to healthy teeth! Now Alfred will lose his teeth and grow new ones, just like crocodiles and alligators do, but if you look closely at these teeth-they’re serrated. They’re like steak knives- not like the cone-like teeth of crocodiles. Thank you Alfred, you’ve been quite patient. Here’s some jerky. But crocodiles don’t need serrated teeth. They’re eating different things, they have a different habitat, and different diet, they’re eating in a completely different way. Alfred has teeth like a bone saw. Thank you Pete, and Alfred. Just for comparison, here is a crocodile monitor lizard. Image copyright to Jason R. Abdale. Quick Question: Help me find what I need to fix! If you wouldn’t mind checking out this blog post on Allosaurus, you’ll get to see some great pictures of excellent mounts, and you’ll see what I have to correct in my illustrations of Alfred. Now here’s where things get a little muddy. Bones are easy. They’re hard, relatively common, and all bones that look about the same are going to have similar functions. Back-boned critters all kinda have the same basic pattern. Same with muscle. The only squishy thing with muscle is determining how much is where, then you can figure out the basic shape on top of the bones. But what about skin? We’re pretty good at figuring out how a dinosaur works on the inside, but what did they look like on the outside? Here is where a little mud or volcanic ash comes in handy. When an animal is buried in soft, fine-grained sediment, then the critter’s skin, scales, fur, or feathers leave an impression. Just like stamping into soft clay. 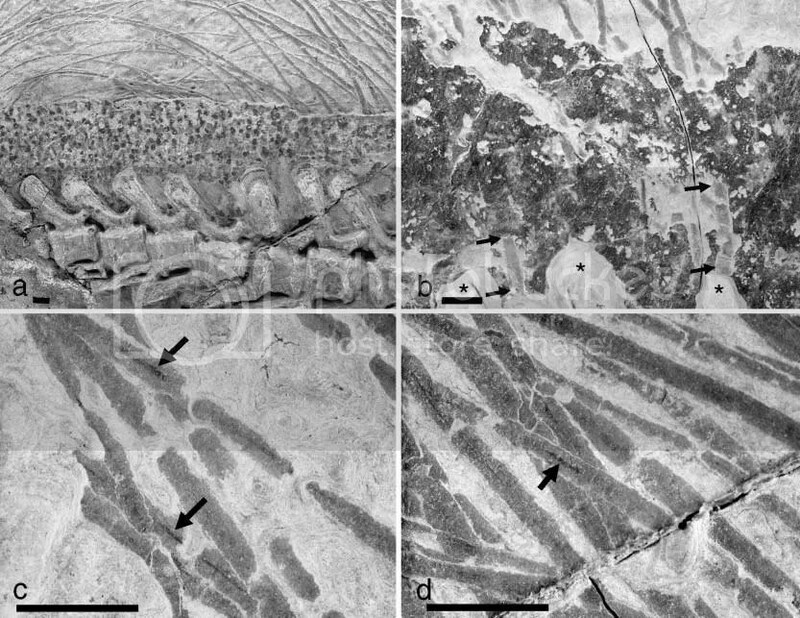 With more refined techniques in recovering fossils in the field (or prepping them at the museum), paleontologists are finding more “skin stamps” than ever before. Corythosaurus casuarius skeleton, by Barnum Brown, 1916. A beautiful fossil of Psittacosaurus (distant, small cousin of Triceratops) at the Senckenberg Museum of Frankfurt. 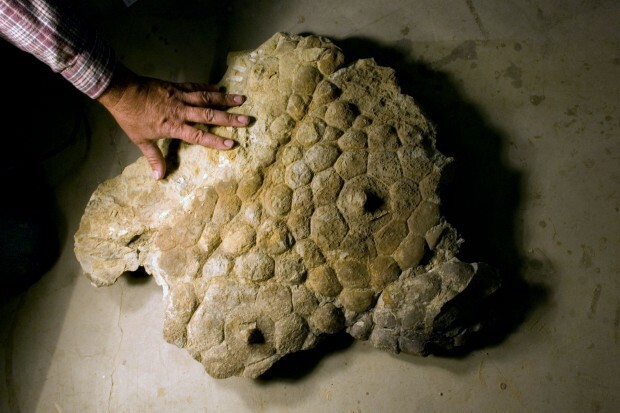 We can’t be sure about color, but you can see the pattern of darker and lighter scales. Notice how much muscle this critter has, and those quills! A one-of-a-kind find. Remember my post a couple weeks back about how hard it is for an animal to be fossilized? How much more amazing that we have something like this? 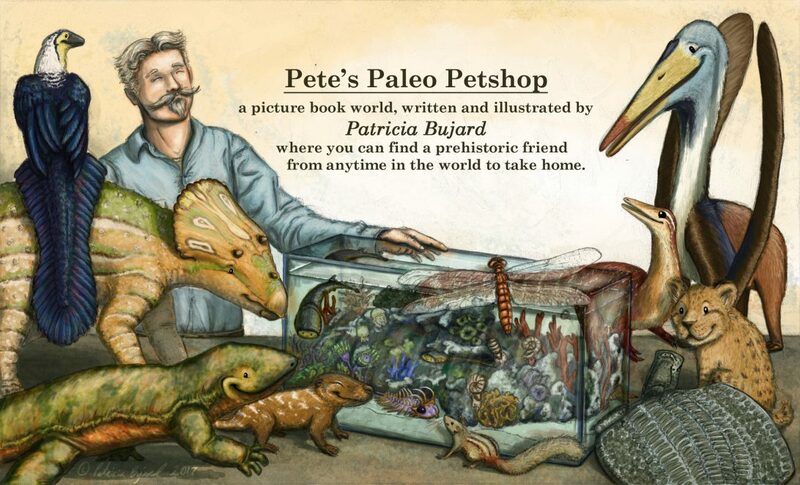 If all species of Psittacosaurus had them (there’s 18, all very different from each other), and if they did, how much & where. If any other ceratopsians had them. Psittacosaurus was part of a line that died out, so it’s rather unlikely that Triceratops & co. had them. 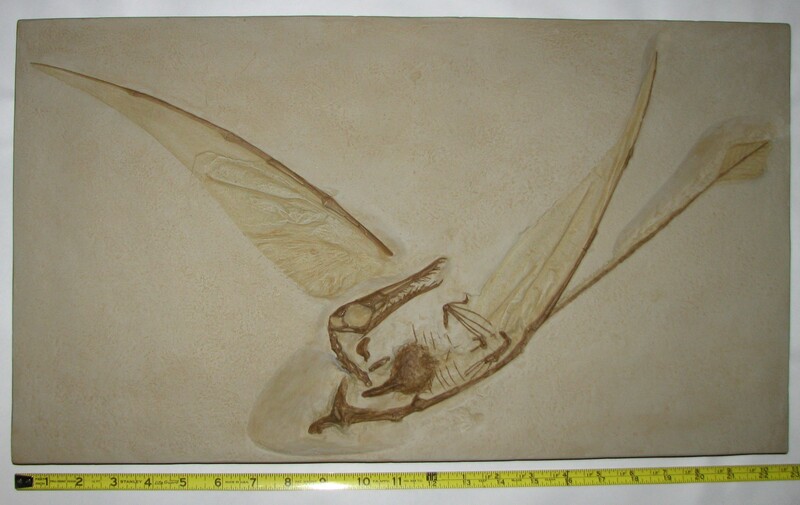 Now that we’re on the subject of feathers…just look at this exquisite fossil of archaeopteryx. 🙂 It never gets old…takes my breath away every time I see it. I know that looks like fur, but those are fluffy feathers all over this little sinosauropteryx. Notice the bands of light and dark color on its tail. Here are some more birdy feathers on a larger dinosaur. This is Zhenyu- Zhenya- Zen- Oh forget it. Let’s just say she’s a cousin of those infamous raptors from Jurassic Park. She’s about five feet long, so closer to the real turkey-sized Velociraptor. Fully feathered. Just look at those glorious wings! Here’s a close up of those feathers. Notice the full wing in photo D below. You can clearly see primary, secondary, and covert feathers, just like what you’d see on a modern bird wing. Keep in mind that this fossil came from a critter called Dakotaraptor. This guy was every bit as big as the ones in Jurassic Park. And it has wings. Image from paper studying Dakotaraptor. A prettier reconstruction of Dakotaraptor’s wing. Photo courtesy to Robert DePalma. These and other fossils from even larger dinosaurs such as yutyrannus (T-rex’s Chinese cousin) that also preserve feathers, can give us clues for exactly how diverse and widespread feathers are in the dinosaur family tree. The flying reptiles called pterosaurs, for example. Picture not mine, if you know who needs credit, please let me know. 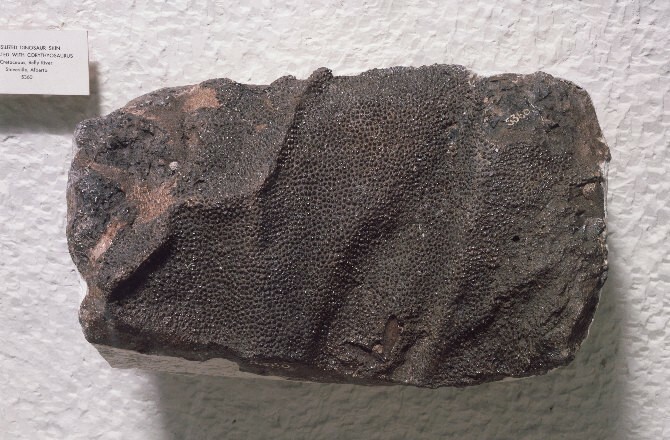 With fossils like these we can learn about the structure of the wing, and that these animals also had a fur-like coat of feathery fuzz covering their bodies. No scaly or naked skin here. So there is a lot we do know, but still so much left in the dark. With bones, muscles, and a few hints of soft tissue, next time we’ll be heading off into uncharted waters.